Location Notes for "In the Depths of Your Grief"
Here are the location notes for "In the Depths of Your Grief." Geographic maps and a description of the Umsetzung Complex appear in the location notes for "When You Strike and Overcome Him." 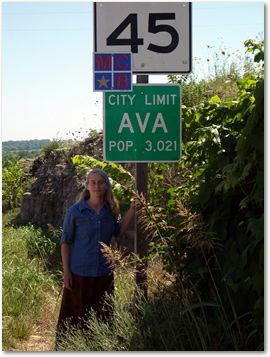 Here is a small map of Ava, Missouri. Town signage shows the population at 3,021. Avis Mall is bounded by Westheimer Road to the north, Montrose Boulevard on the east, Lovett Boulevard on the south, and Yoakum Boulevard on the west. From west to east across the top, the stores are Half-Price Books, Spec's Wines Spirits & Finer Foods, vacant, Hwang China Bistro, Grocery Outlet Bargain Market, dd's Discounts, Charter Fitness, and Papa John's Pizza. A separate Jack in the Box appears in the southeast corner. The northeast corner near the bookstore has an aviary for endangered red-cockaded woodpeckers. The aviary holds endangered red-cockaded woodpeckers, in hopes of acclimating them to human presence, along with other birds such as warblers and finches for company. A small breeding population has been established in the Ava City Park and a larger one in the Ava Ranger District of the Mark Twain National Forest. The Ava Ranger District is part of the Mark Twain National Forest. 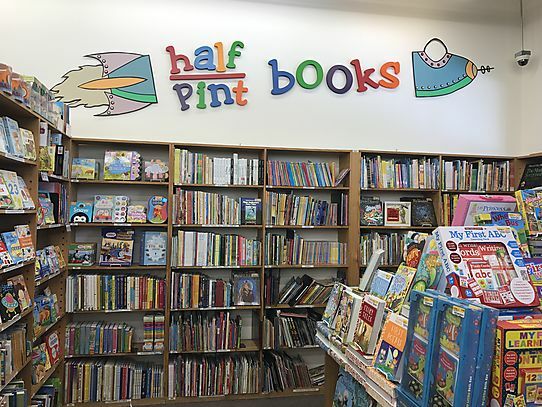 Half-Price Books is the first store in the upper left of the site map. 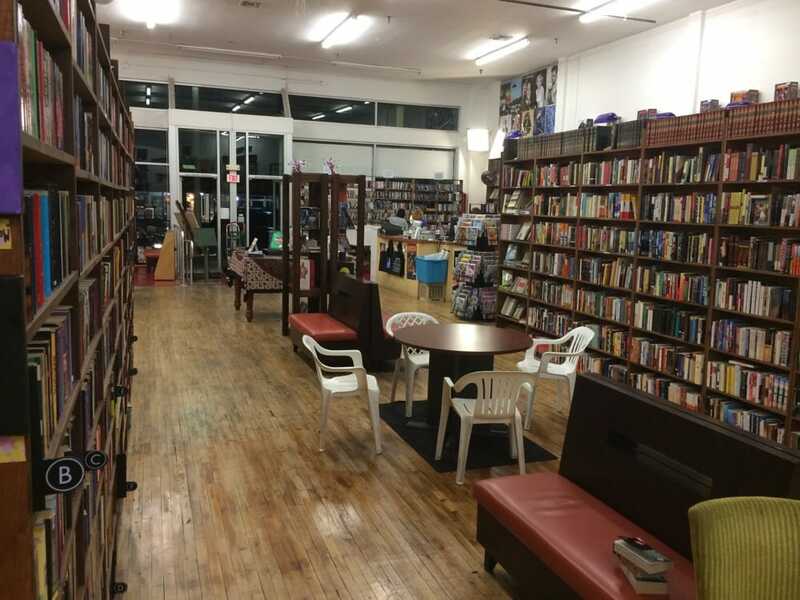 The bookstore has seating for guests inside. 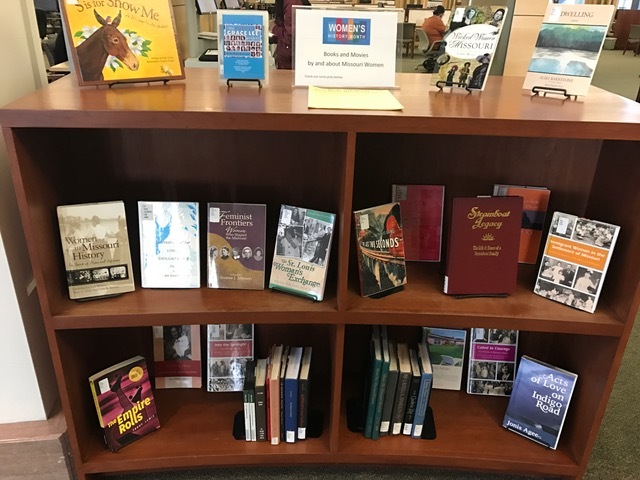 Topics include Missouri books and authors, ethnic studies, romance and women's studies, and men's adventure. 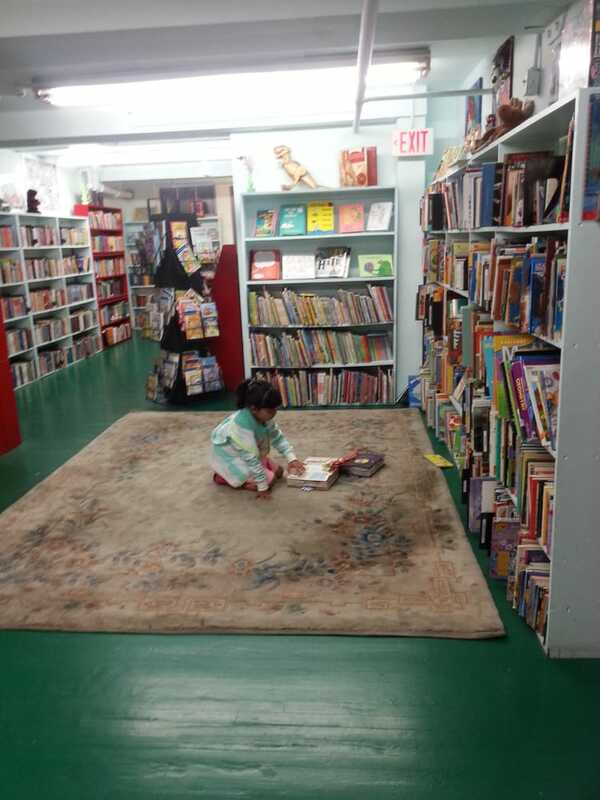 The children's section includes a rug for sitting on the floor. 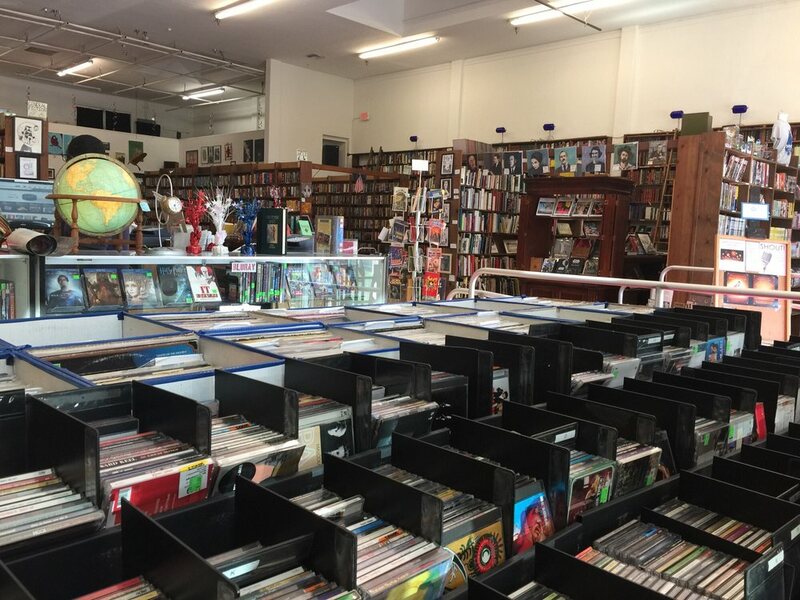 The music section has CDs, records, and other materials. 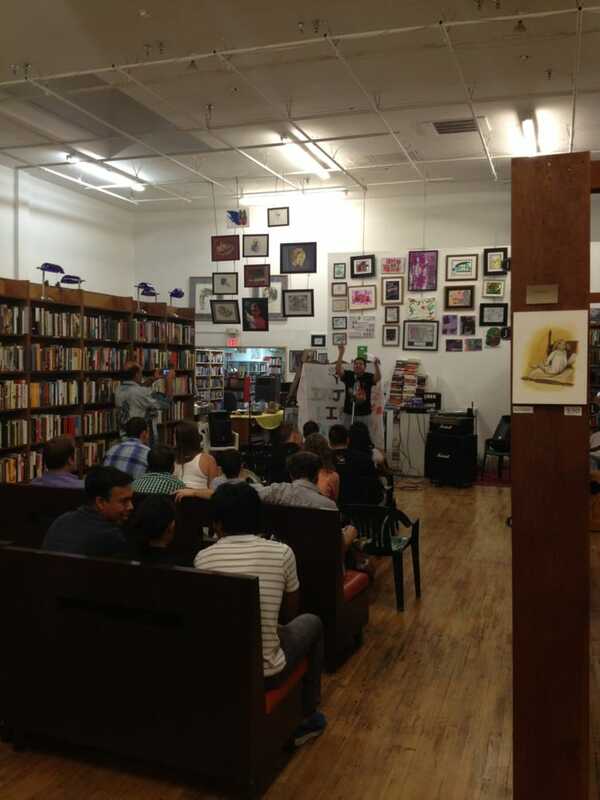 The performance corner provides space for poetry readings, author events, busking, and so forth. 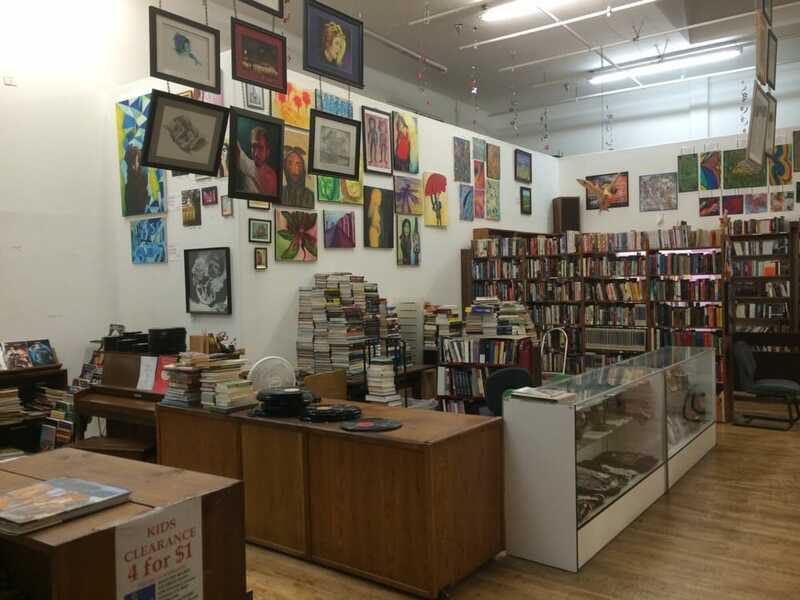 The walls are hung with artwork by local artists, also available for purchase. To the right of the performance corner lies the collectibles department. 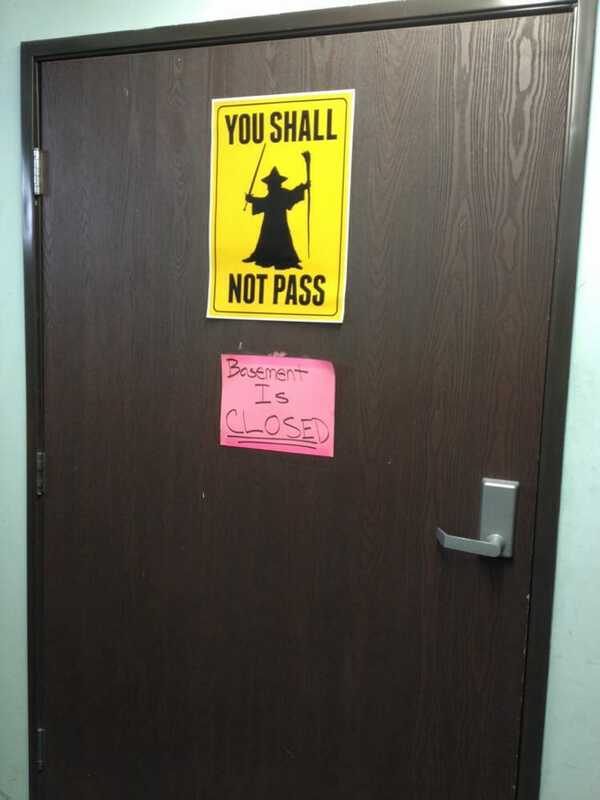 Sometimes the basement is used for gaming and other events, but when it's not, they mark the door with geeky signage. 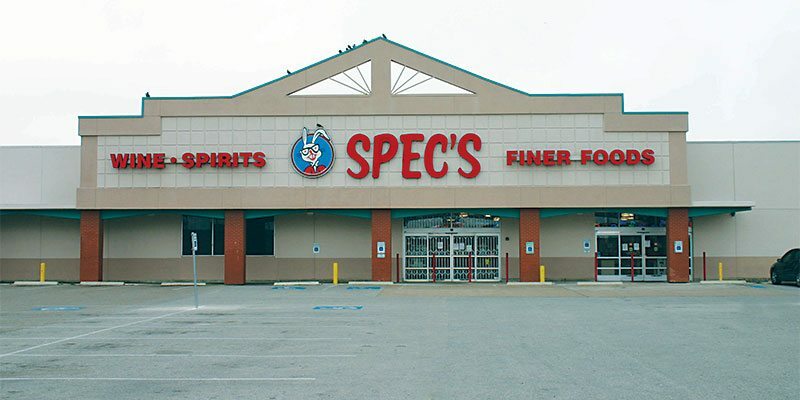 Spec's Wine, Spirits & Finer Foods is the second store in the upper right of the site map. 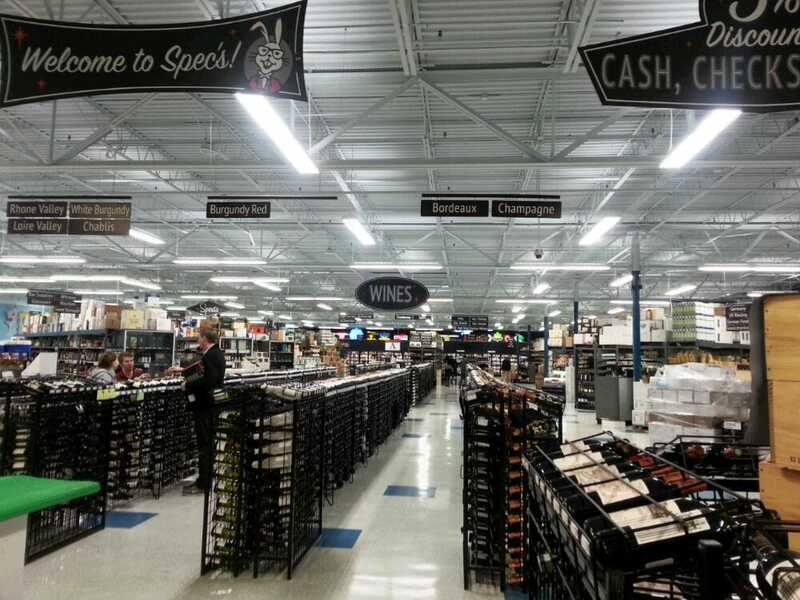 It sells a somewhat better level of products than the grocery store. 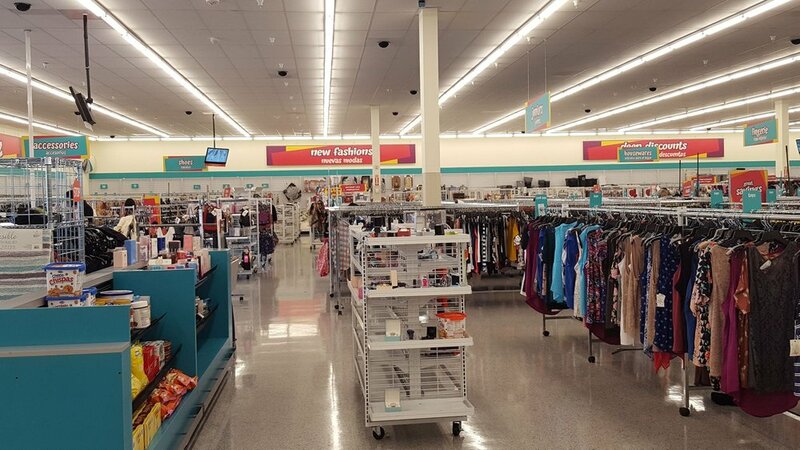 Inside, aisles lead up to the checkout lanes. 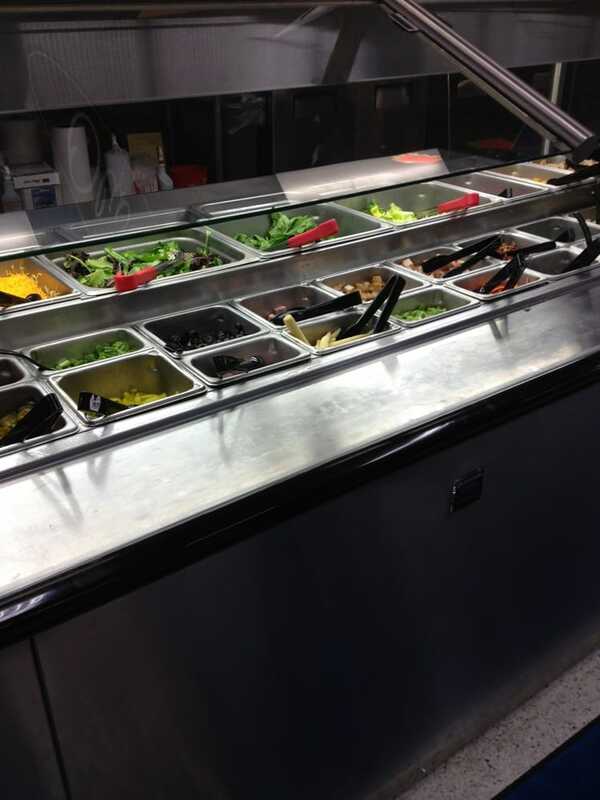 The deli area includes a salad bar, candy and coffee. 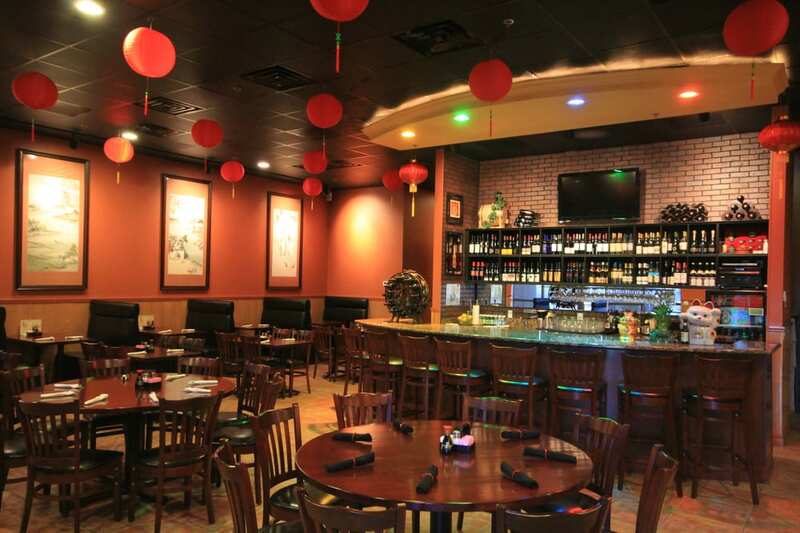 Hwang China Bistro is the nice restaurant in town. It's near the middle of the upper row of the site map. 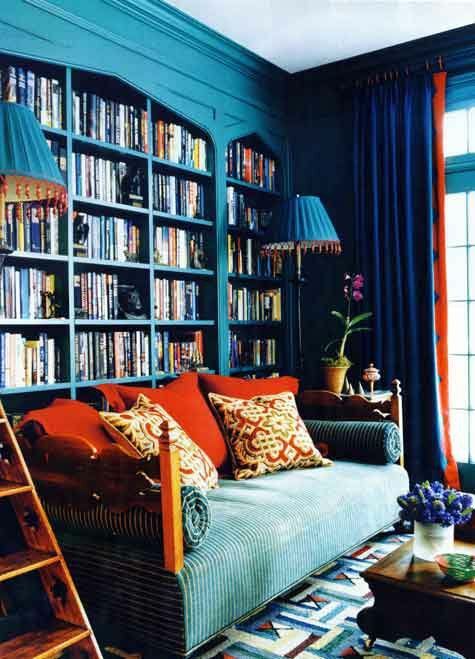 The interior is decorated in auspicious Chinese style. 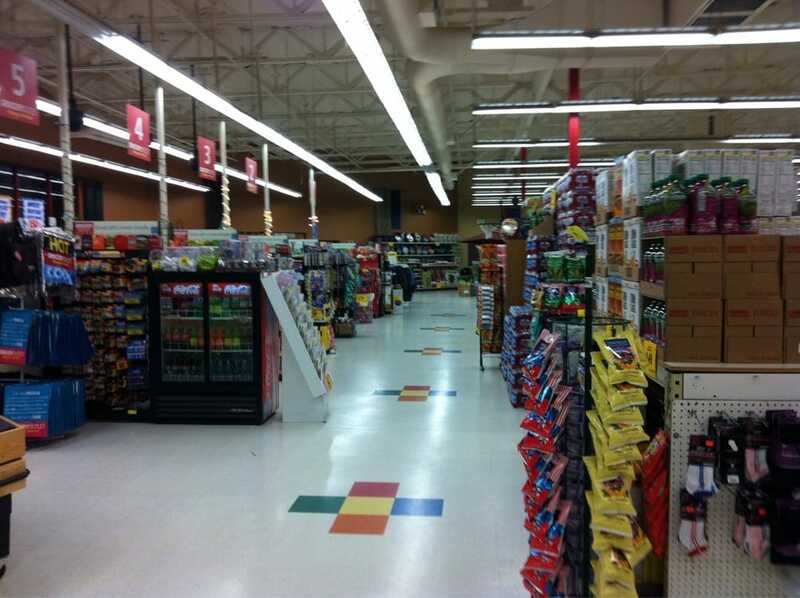 Grocery Outlet Bargain Market sells cheap food and household supplies. It's in the middle of the upper row on the site map. 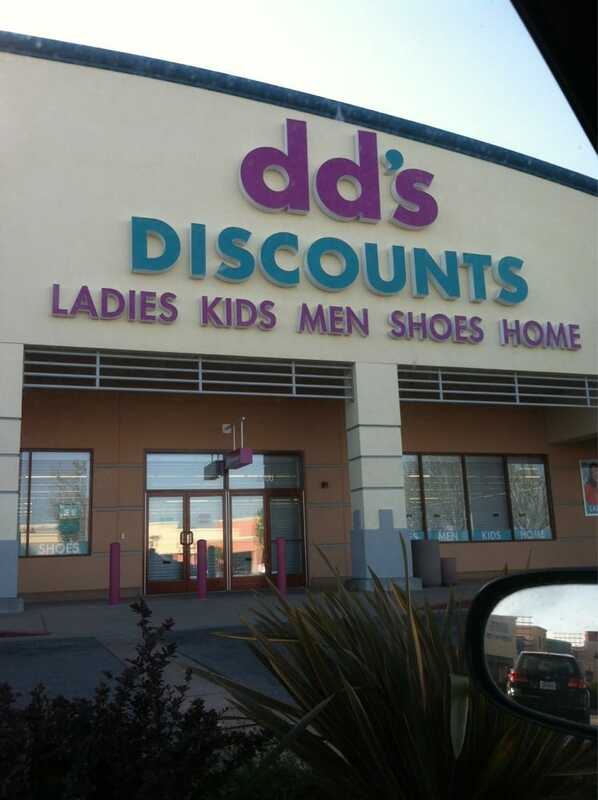 dd's Discounts carries clothing for the whole family along with shoes, housewares, and other items. It's near the right side of the upper row on the site map. 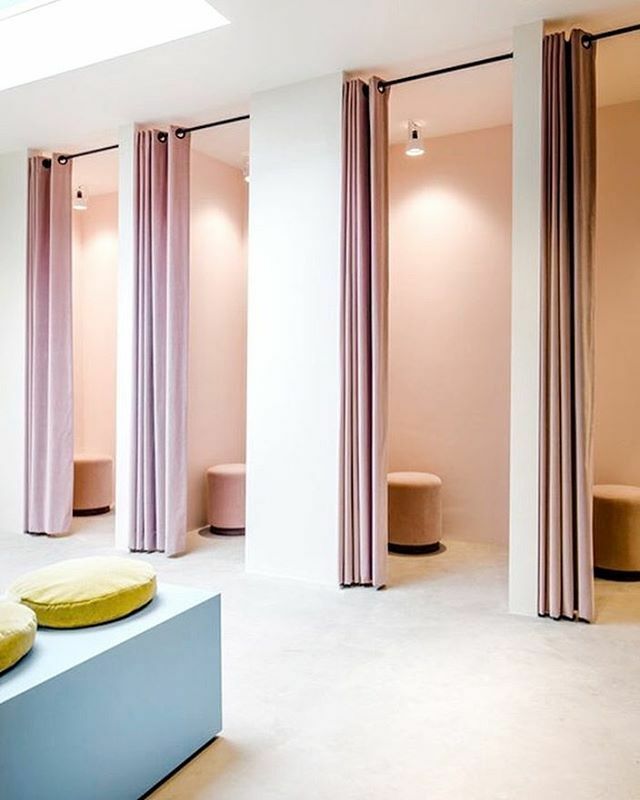 The fitting rooms have general stalls for men and women, along with a couple of dotties. 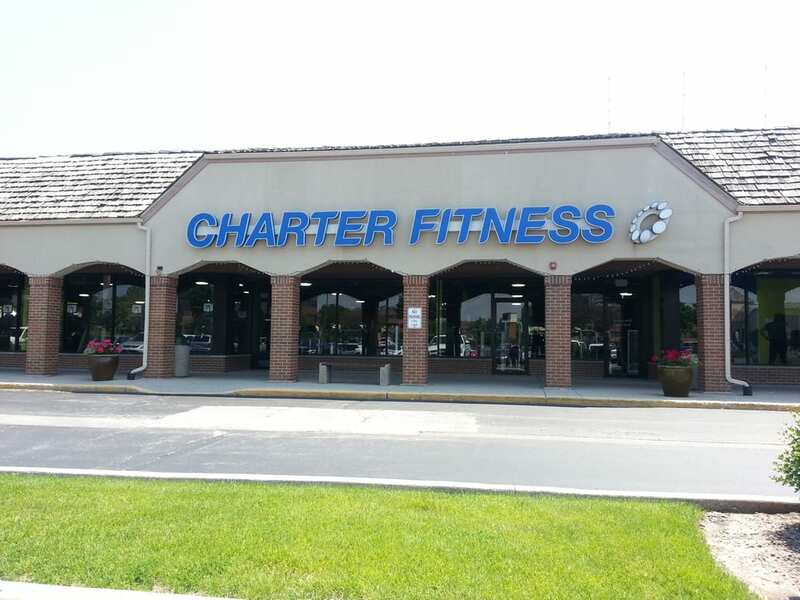 Charter Fitness provides exercise space for the community. It's in the upper right corner of the top row of the site map. The main workout room includes treadmills, exercise machines, free weights, and more. 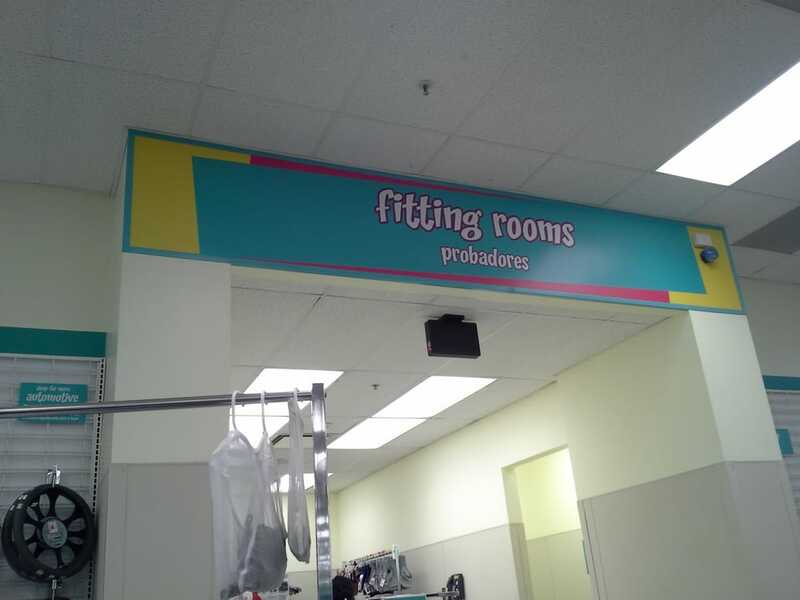 The first aid room serves the fitness center and the rest of the mall. 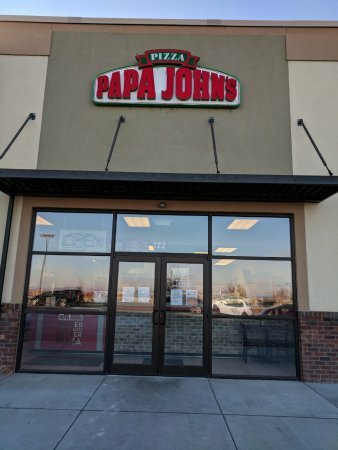 Papa John's Pizza is in the lower right corner on the upper row of the site map. 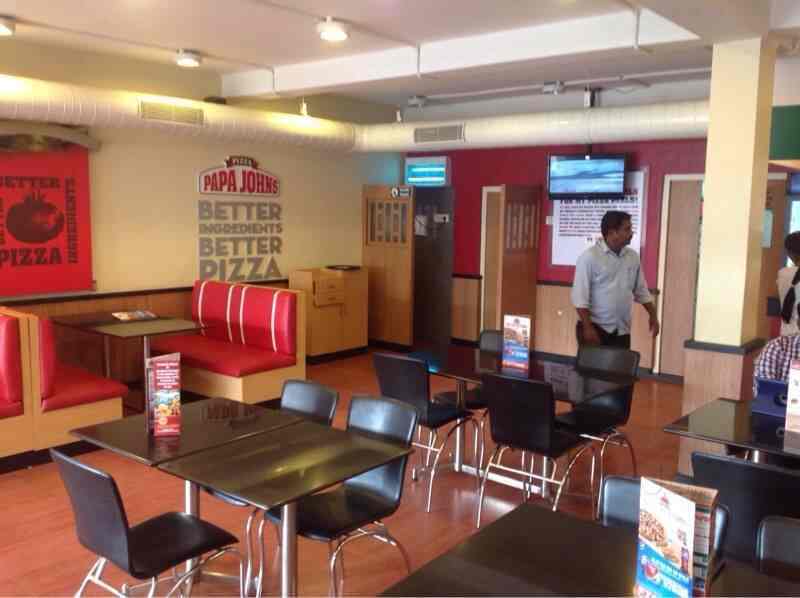 It has booths and tables for customers. It's popular for casual family dining. 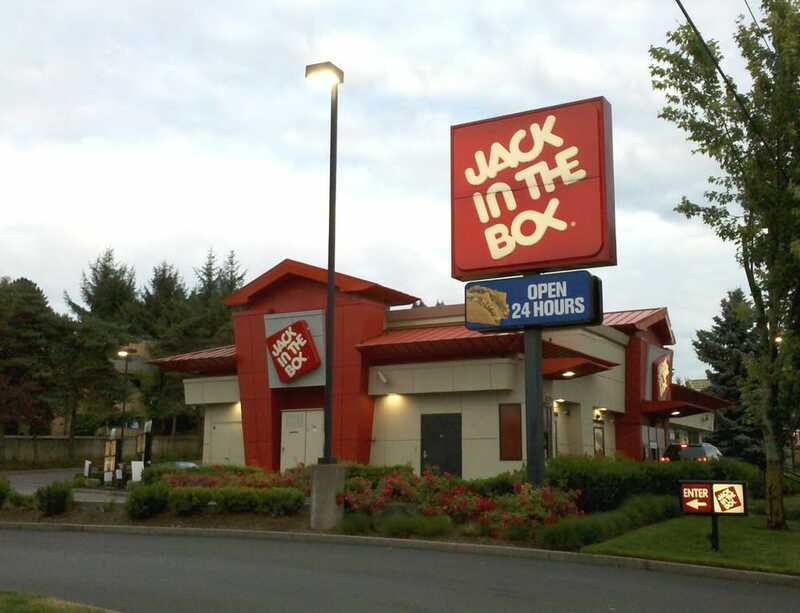 Jack in the Box is a small fast food restaurant with a few tables and chairs for customers. Most people just grab and go. Missouri Ozarks Community Health has a pharmacy and clinic services. 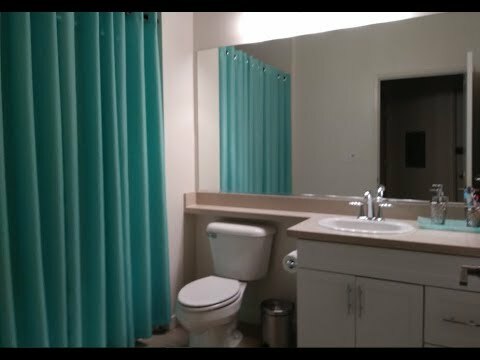 The MOCH Wellness Center offers facilities including a weight room, a gymnasium, a walking track, aerobics rooms, a kitchen, meeting rooms, a teen center, and a child watch center. Nutrition, fitness, and other educational services are available. Programs include Martial Arts, Silver Sneakers, Weight Watchers, Yoga, and Zumba. The MOCH 5k Run-Walk involves much of the community. St. Leo the Great Mission Church has a prayer garden by the parking lot. Inside, lanterns hang from a high peaked roof. 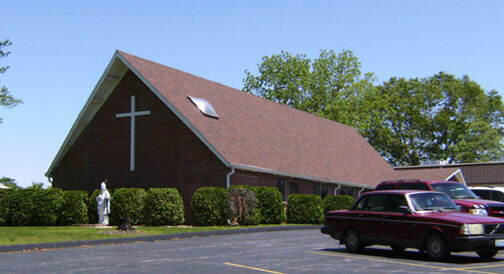 The First Southern Baptist Church is a low brick building with a high white steeple. Here is a closeup of the sign. A wooden bridge leads to the New Haven Native American Church. Rock balancing is a favorite hobby here. This stack holds at least 15 rocks. Sometimes the creek floods almost all the way up to the bridge. Several pavilions surround the Chapel Grove Picnic Area. Healing circles and other events take place here. 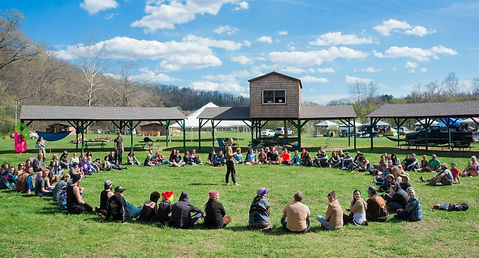 Attendees make a sacred circle with their feet. 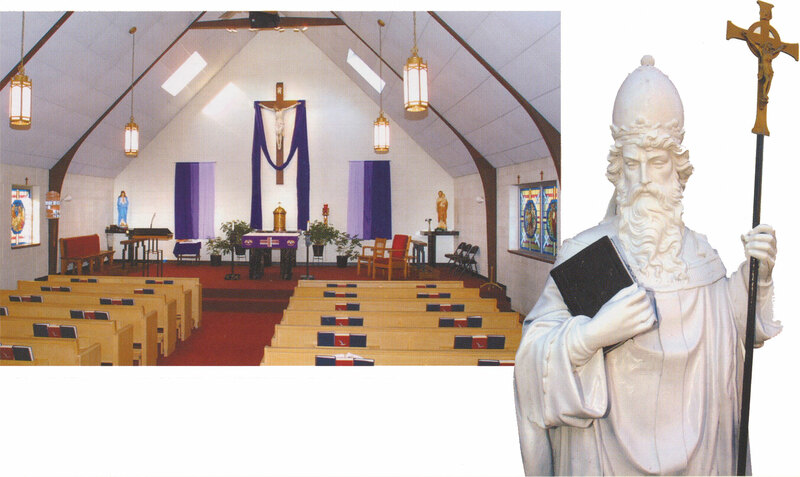 A sacred circus visits the church. A stage in the Church Chapel Grove Picnic Area overlooks a set of benches. Here is a glimpse of Bryant Creek. Its wide shallow waters roll over a bed of golden-brown gravel. People can climb down the rocky bluffs to canoes and ride on the creek. A trail looks down toward the sacred cave. Compare the views looking into the cave and looking out of it. Trails run through the territory. This one is wide and overgrown. Some are dry, and others are muddy. Trail guides lead horseback tours of the area. 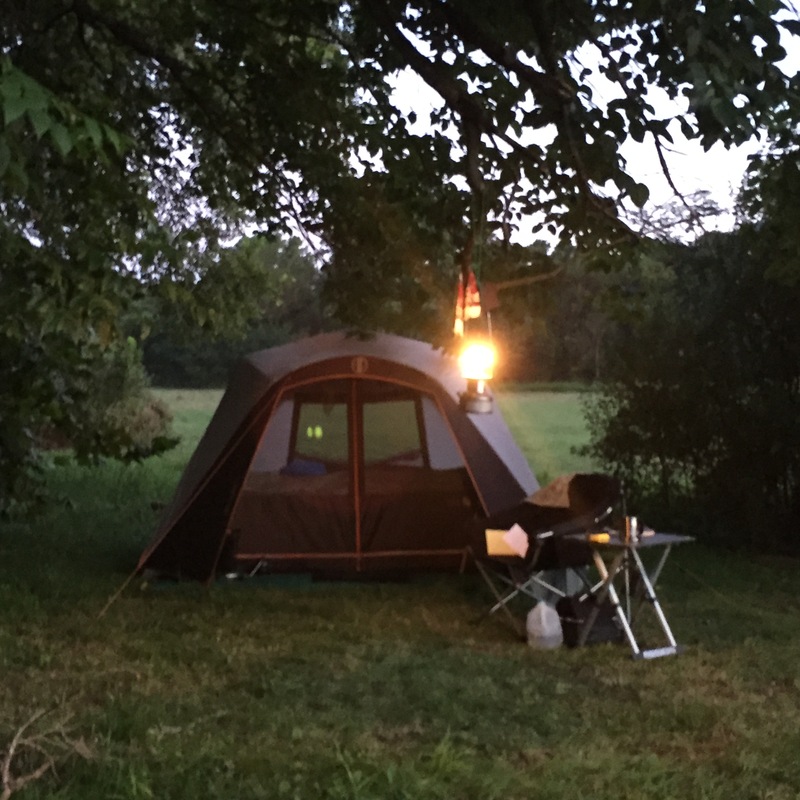 Tent camping offers attendees a place to stay. The Shambhala Center is an earthbag building. They teach shamanic yoga. 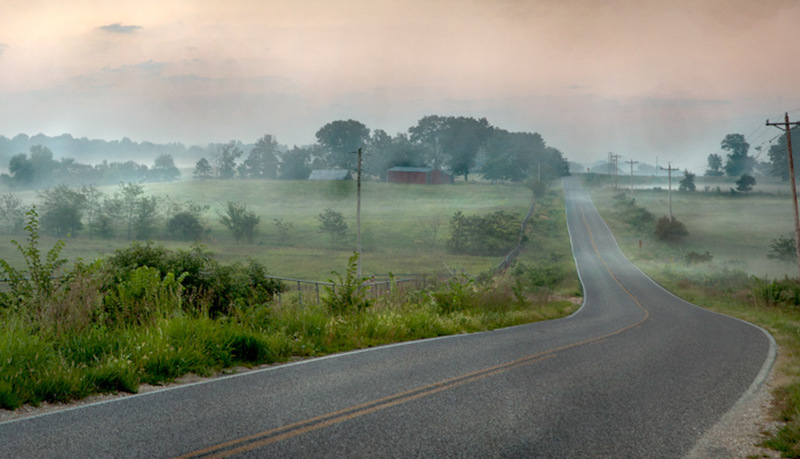 Outside of Ava, a country road winds through the mist. Vanzant lies in the northeastern part of Douglas County, Missouri. Ray's Country Store has an assortment of fuel pumps. 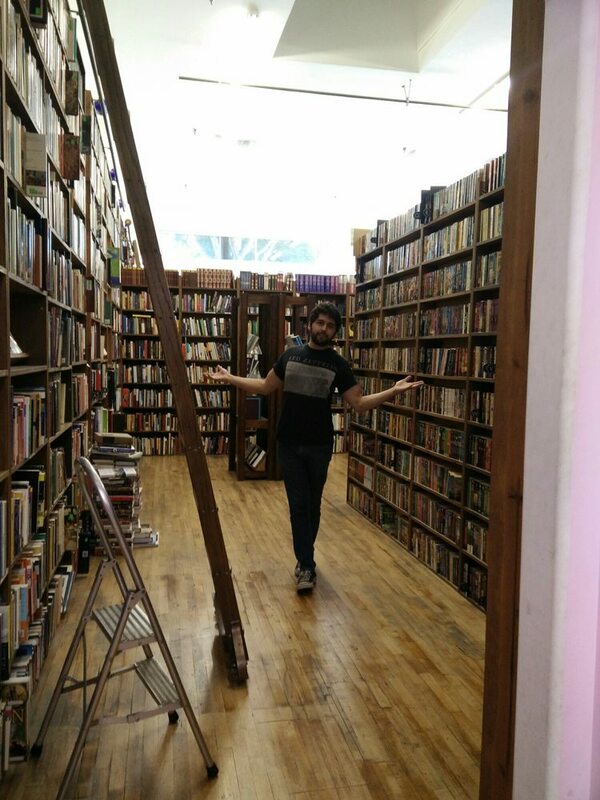 It sells books, t-shirts, and other items. You can read more about it here. A Volkswagen collection lies behind the store. Gentryville is another town in Douglas County. 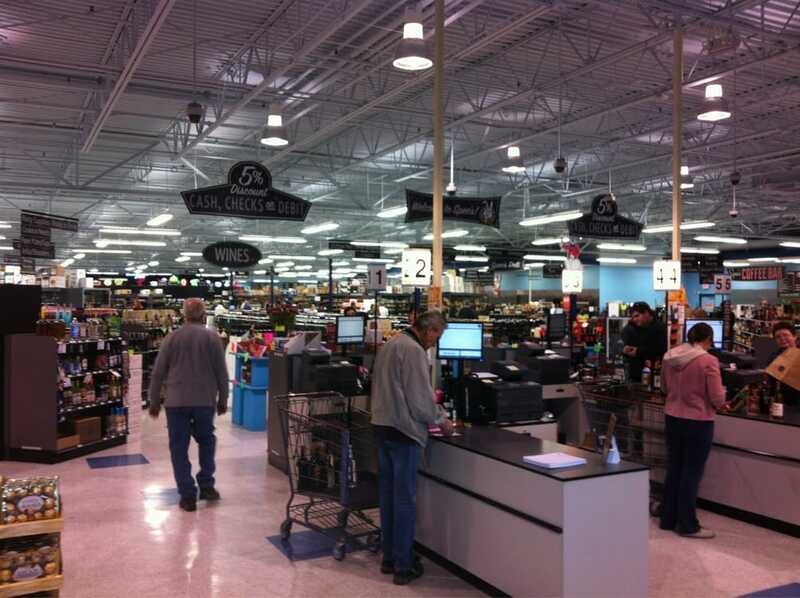 The Gentryville Store has changed a lot over the years. In local-Gentryville, the store's stock has dwindled repeatedly over the years, giving up gasoline due to changing regulations, hunting licenses, hamburgers, and so on. In Terramagne-America, change has also happened, but differently. They still stock hunting licenses, but in rural areas many people are so poor they qualify for free ones, so the state pays stores for those. While L-America struggles to discourage unhealthy fast food, T-America has largely chosen to push it toward the fringes, giving healthy (fast or slow) food the best locations. Small-town owners complained that this was running them out of business, because the "fringe" in a small town can be literally outside the town -- even with distances based on a percentage of municipal size. So the Department of Health & Human Services worked with them to develop programs that support selling healthier foods instead of or alongside the junk. 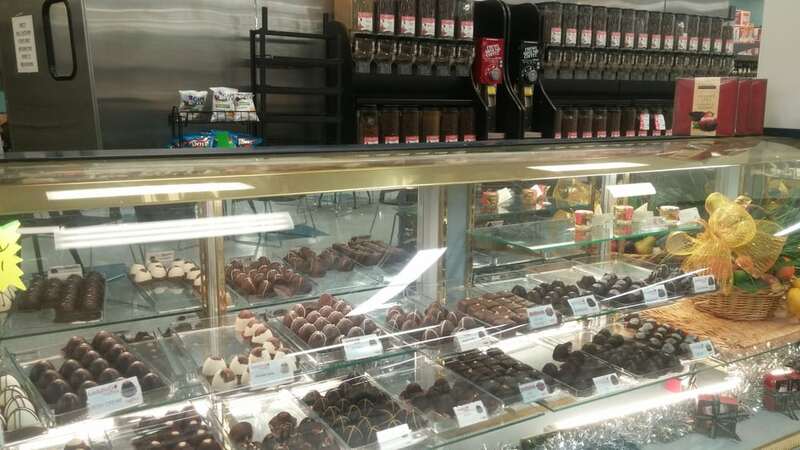 Many of the small-town places now carry things from local bakeries and farmers. 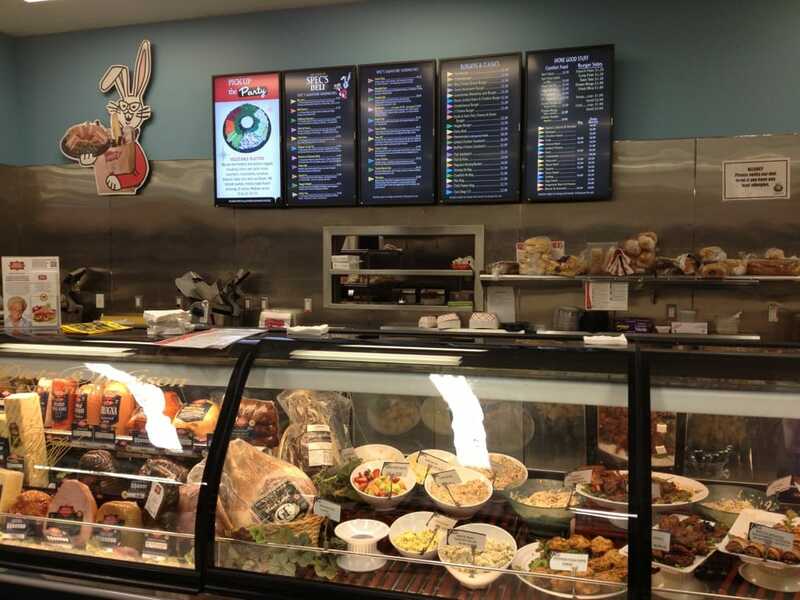 Small stores and restaurants stay in business, producers make more sales, and customers get better food; everyone wins. As leaded gas was phased out starting in the late 1970s, and new regulations came into effect, that had an impact on small-town providers. They argued that closing the stations would waste a great deal of fuel by forcing people to drive farther to buy it. Still stinging from the gas crisis of the 1970s, the EPA struck a different deal: they offered a combination of waivers and upgrade assistance for gas station owners who agreed to carry "green" fuels, reducing reliance on fossil fuels. It began with ethanol in the early 1980s. Today the store has one pump each of gasoline (for cars), diesel (for farm equipment), kerosene (for heaters), two with ethanol (for cars), and three electric chargers (for cars, mostly tourists). Instead of having many separate networks which require buying a membership in each, T-America requires all public chargers to service everyone -- it just costs more if you're not a member. To avoid this, there are several "traveler" organizations that broker deals with all the networks so you can buy one slightly pricier membership and get access everywhere at reasonable rates. Then there's Tesla, who's pushing their superchargers by offering sweetheart deals to gas station owners who install one. So you can find these things all over rural T-America now, which draws tourists in a road trip boom echoing those from the 1920s and 1950s, a win for everyone. If you buy a car from Tesla, some use of their superchargers comes free -- considerably more than here -- and you can buy a very cheap membership if you want more. They are literally selling cars on the premise that once you have it, driving it is free. The Gentryville Store is nearly 100 years old. A large table provides room to play cards. The owner bought the place in 1985. A cash register and a school bell occupy the counter. 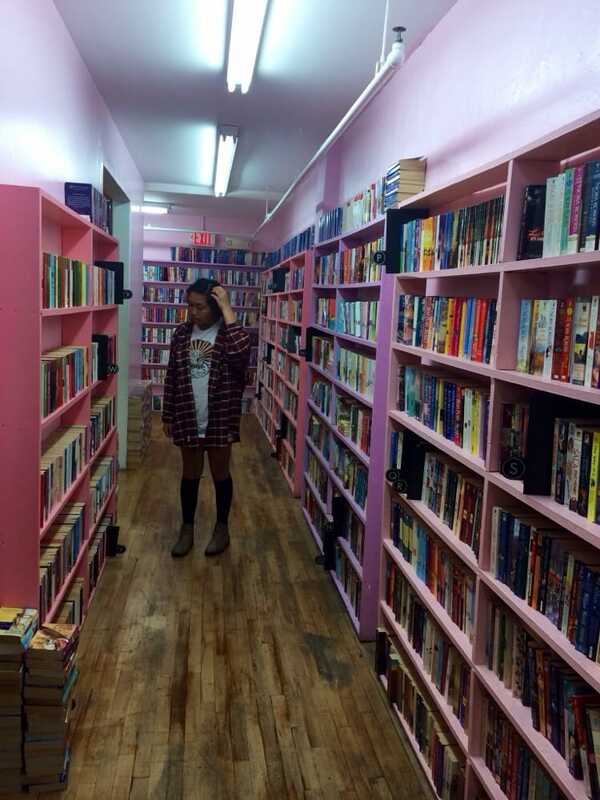 The store carries an assortment of snacks, sandwiches, and other stuff. Local art lines the walls. These paintings hang over the electronics. This is the art studio. There is also a rock collection. Squires is south of Ava. In T-Squires, Spurlock's Store carries on a thriving business in barter alongside the usual cash. You can barter almost anything. The first Spurlock's Store in Squires, dating from around 1901, was a log cabin. A frame building followed the log cabin, but an arsonist burned it in 1933. A new building replaced it in 1935, but also fell prey to arson in 1936. It too was rebuilt, and housed the store until the current building opened in 1966. In T-Squires, the the arson incidents are suspected to involve a firebug, due to one manifesting in the same family during the 1960s. The other family denies it. Spurlock's Store also holds the Squires Post Office, as shown in this picture from 1982. The current store has an overhang to shelter the fuel pumps, as shown in this picture from 2015. 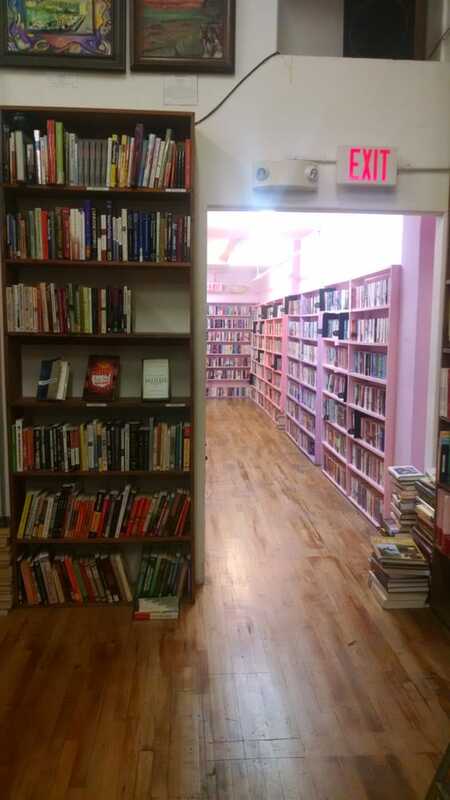 The front counter gets plenty of traffic. In T-Squires, the Fellowship Bench is an early example of a friendship bench. These are some of the vehicles featured in the raid. 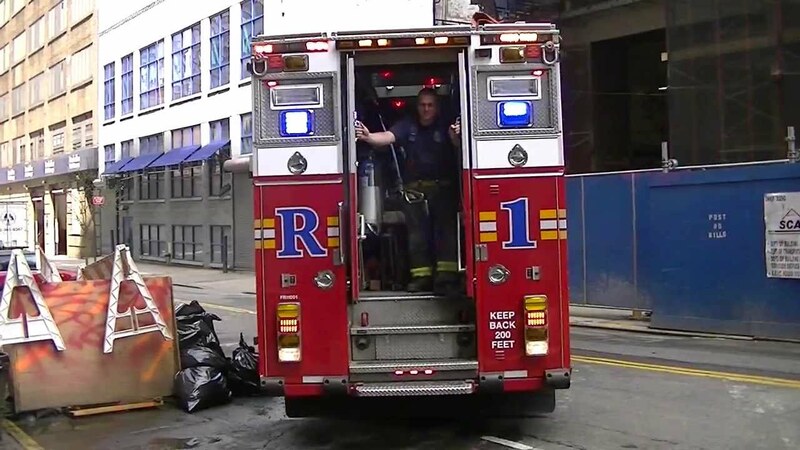 Both sides of the Special Operations Light Rescue Truck have roll-up doors over storage cabinets, in this case stocked with medical supplies for mass-casualty incidents. The interior of the truck can be filled with large equipment or personnel. It's just wide enough to fit a gurney inside for use as an ambulance, although there's no room to move around it. 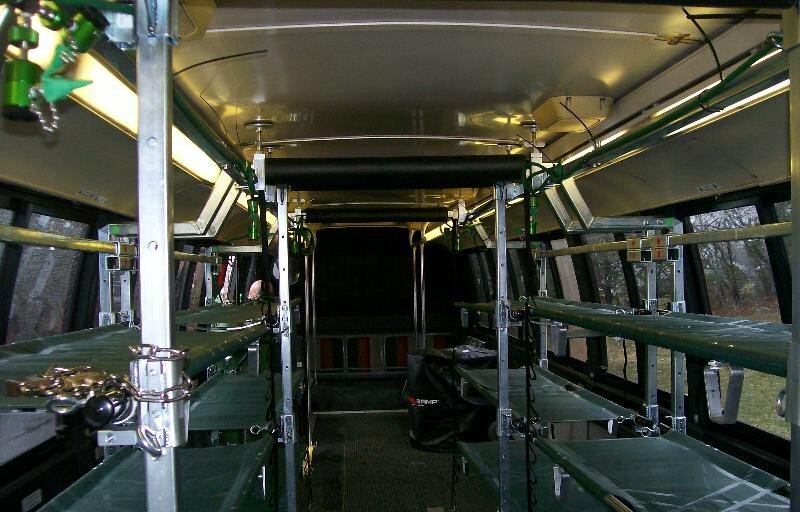 The Mass Casualty Transport Ambubus has an interior frame for transporting victims on stretchers. A hearse transports dead bodies, most often from funeral home to cemetery, but the same term often applies to the first call vehicle that takes bodies to the morgue. 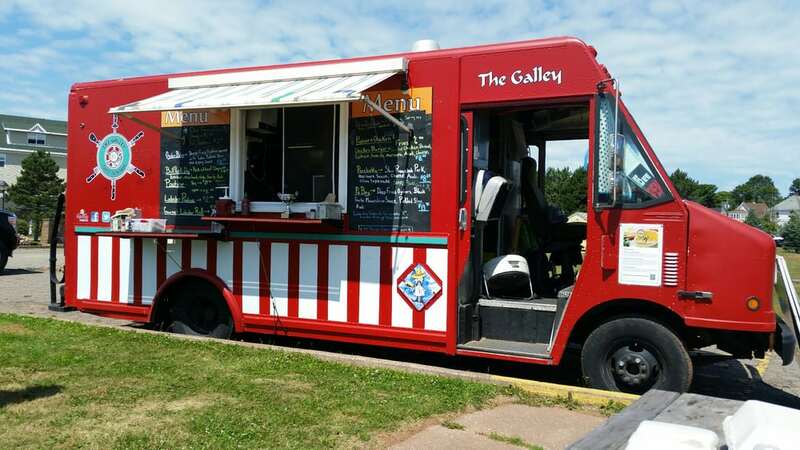 A galley truck is basically a food truck that serves food and beverages to personnel on the scene of an incident. T-America sensibly stocks theirs with food that is nutritious, comforting, and easy to digest. This helps support resilience and reduces the chance of food-related mishaps. I am once again astounded at the depths of your research. I used to be able to keep most of it in my head, but now I have a lot more settings. To keep them straight, I need comprehensive notes. Then I don't have to worry about mixing up, say, the names of stores in Ava vs. Bluehill vs. Omaha malls I have described.